The phenomenon of No Fault Found is known by a variety of names, and is a problem which has plagued operators and maintainers in all technology-dependent sectors from automotive to telecommunications. 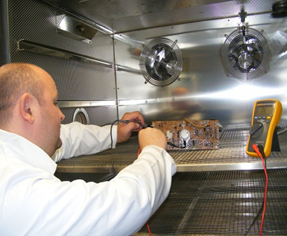 In- service faults which are detected by operators or faults recorded by built-in tests will be investigated and are likely to result in a subsequent product removal. After troubleshooting activity, product removal events are grouped into either ‘Confirmed Fault’ or ‘No Fault Found’ categories. No Fault Found will contain ‘fault isolation failures’ where the actual fault exists in another product which has been missed due to poor troubleshooting or attributed to a hidden fault undetectable during testing. NFF can be seen to have more significance upon the overall removal reliability. Recent research shows that improving the system to reduce the number of product removals with no apparent failure will have far more effect on the overall reliability than a corresponding improvement in the product failure rate. The main causes can be categorized into system design, inadequate troubleshooting and diagnostics, fault isolation methods and their cost, repeated down-time, reduced availability and increased burden on Through-life Engineering Services. This BAE Systems sponsored project aims to identify equipment design features (i.e. functions/components, measures of complexity or BIT/BITE) and correlate these to NFF attributes (i.e. fraction of faults detected / isolated, fraction of false alarms and rate of false alarms) in order to develop a NFF rate/burden predictor. The overall impact of such a NFF rate/burden predictor is that it will be used at the design phase, or to verify a proposed modification, to aid in developing equipment which is increasingly immune to NFF throughout its operational life. Intermittent Failures in Electronic Systems The reduced size of electronic chips and increases in their interactions and complexities have led to difficulties in diagnosing system faults; in particular when these faults occur at the component level and are intermittent in nature. The purpose of this project is to investigate the Tools & Techniques which can be used to successfully diagnose intermittent faults and to provide intelligent reasoning on intermittent fault progression. The aim of the project is to develop in-situ health monitoring technology to detect and characterise intermittent failures arising from such causes as dry solder joints, loose connections, damaged wiring and enviromental degradation, which heavily contribute to the burden of NFF. 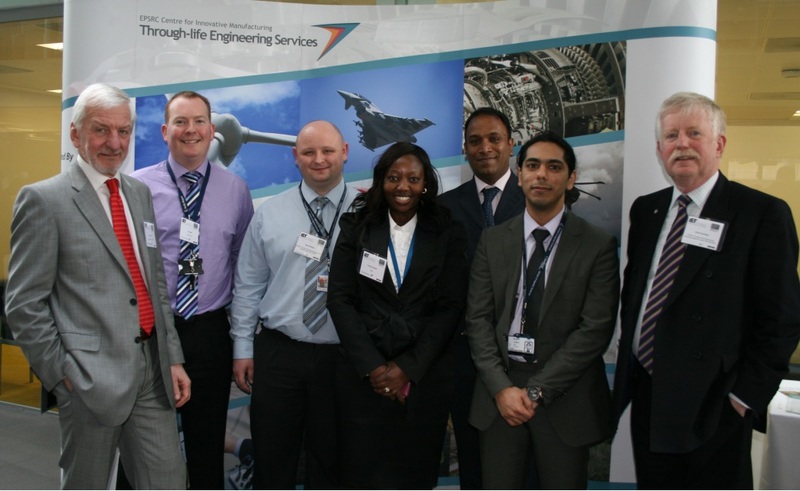 The NFF team organised a one day symposium on 18th March 2013, co-sponsored by the Institute of Engineering & Technology (IET) Manufacturing TPN and the Aerospace, Aviation & Defence KTN (AAD KTN). It was aimed at bringing together practitioners from across various industrial domains to share their experiences, best practices and ideas for future solutions in order to address the problem of NFF. The event attracted approximately 145 delegates from 60 companies and successful in estabilshing the key research themes which were identified as being the most influential contributors to the problem. To more information about the day and to download keynote presentations, please go the 1st Annual Symposium page, the symposiums report is also available. Due to the success of the event and the 2nd Annual Symposium is scheduled for Wednesday 28th May at the Shrivenham Campus. For more information and to register please visit the NFF Symposium Event page.